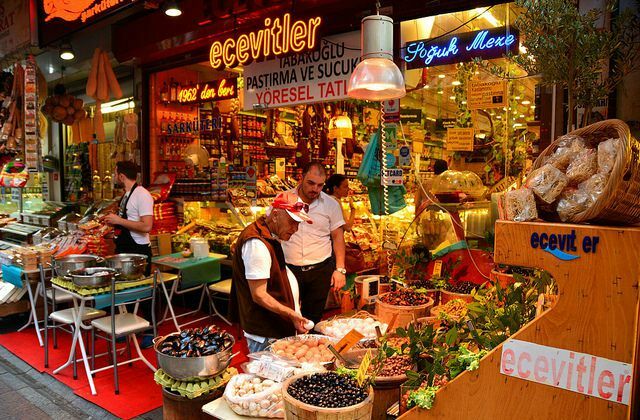 Spend part of your vacation time on Istanbul food tour. Learn about Turkish food culture to complement your experience of the city of 7 hills. Taste as many varieties of dishes as the tour offers. Make sure to come hungry for this delightful tour type. Groups are small in number. Tours may be sold out on your date. Book in advance your food extravaganza in Istanbul! Turkish appetizers (mezes). Photo by Karen Green. Wonder through the streets of Istanbul, both on European and Asian side, tasting Turkish street food. Local food-loving tour guide will select the best food stands for you to eat at. This tour does include a proper sit down 4-meal lunch. Enjoy a visit to Rustem Pasa Mosque, known as one of the hidden jewels of Istanbul, after being fully fed. Get a friend to go on this tour with you. Minimum two people per booking is required. 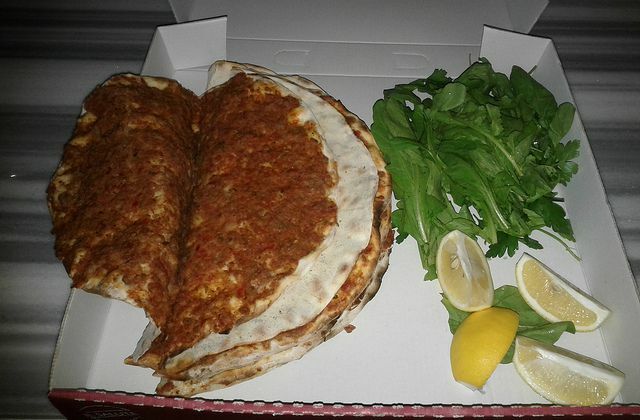 Spend 4.5 hours discovering what Istanbulites eat. Taste what a local student and a business man would usually buy for a quick bite. Your guide will take you across the Bosphorus to Kadikoy neighborhood (Asian side), over the Galata Bridge, into the Karakoy and Galatasaray districts. 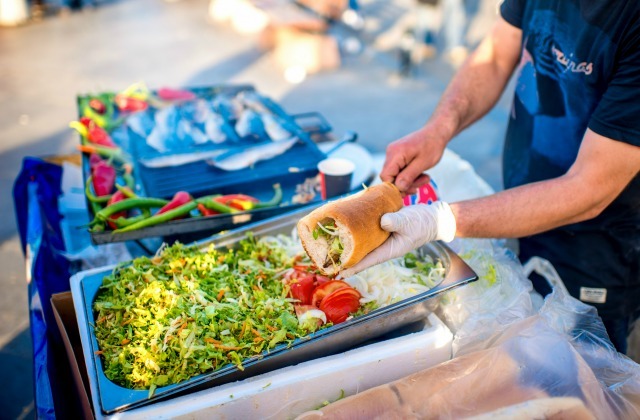 You will have a chance to taste fish sandwich, Turkish wet burger or a simple Turkish bagel simit as well as sweet and nutty baklava, sugar-coated sweets and much much more. Tour includes hotel pick up/drop off and transportation in a private vehicle. You will sure come back full and happy! Board a ferry to go over Bosphorus to Istanbul's Asian side - Kadikoy. Start your food tour with a cup of Turkish tea on the ferry. Take in stories by a local tour guide about Turkish culinary heritage while you ride. Get ready for four hours of markets with fish and vegetables, hidden eateries with tasty Turkish cuisine and shops full of Turkish delight and other sweets. Taste several verities of cheese, honey and baklava (layered Turkish sweet). Wear comfortable shoes and get ready for a fun informative tasty Istanbul food tour in Beyoglu. Your guide will wait for you in Karakoy to take you to Taksim by funicular. Try different Turkish foods - from salty pastries and appetizers (meze) to ice cream from Marash region and Beyoglu chocolate. Learn how to drink Turkish raki (alcoholic drink) and ayran (yogurt drink). Find out what "wet burger" is. Your guide will make sure you have one of the best evenings on your Istanbul vacation. 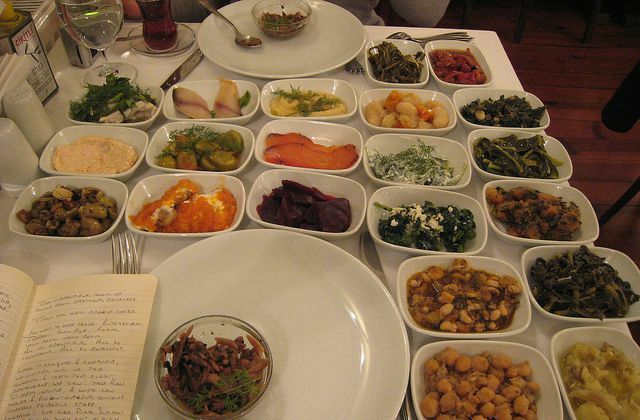 Take this Istanbul food tour and spend 3.5 hours of your evening tasting diverse Turkish food in Beyoglu neighborhood. Some call it "surreal"! 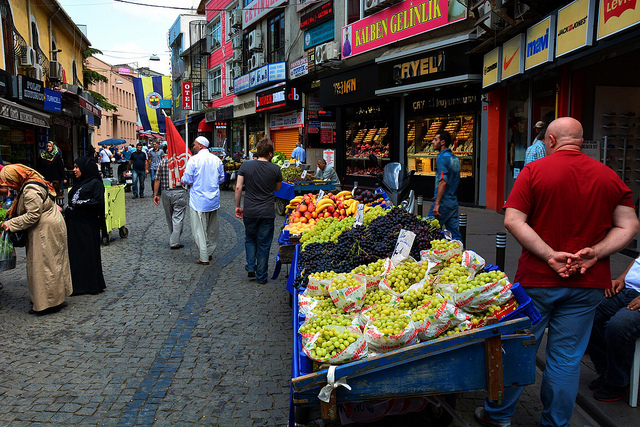 See Taksim's best restaurants from the back entrance, several attractions at night, and numerous food shops. Your guide will be a cook himself and guarantees you a great insightful time. Evening ends with a cup of Turkish coffee and fortune telling. You and your company must be at least 8 years old to participate in the tour. A minimum of 2 people per booking is kindly requested. Explore backstreets of Sultanahmet with professional local tour guide. Stop for a bite in between the touring at spots favored by locals. Enjoy the view of the Sea of Marmara or watch a football match (schedule allows) there. 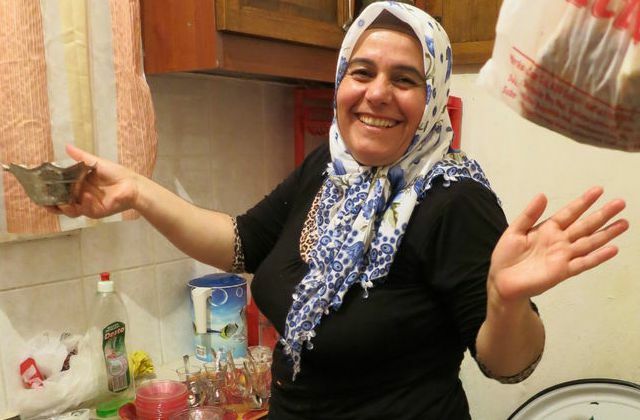 Meet your dinner host at this most authentic Istanbul food tour. Experience Turkish hospitality and home made cuisine first hand. Your bilingual guide will help you with the translation. You will be fed 3-course home made meal plus Turkish sweets. Have a simple home-like evening in Istanbul! Grab your tour guide and spend several hours exploring shores of Eminonu (European side) and Uskudar (Asian side). Be entertained by stories of a local food-loving tour guide who will show you ins and outs of the Spice Bazaar, take you on a ferry across the Bosphorus and walk you through amazing Uskudar shops. You will have a chance for shopping and tasting several types of Turkish food - meatballs, apple tea, yogurt drink (ayran) and, of course, Turkish sweets. This 5-hour Istanbul food tour will fill up both your stomach and curiosity. Eat kebabs grilled on open fire, try tripe soup, Turkish appetizers (meze), bagels, sweets and much more. Relax to a live music and games. Your guide will take you to Istanbul's hot spots only locals know about. 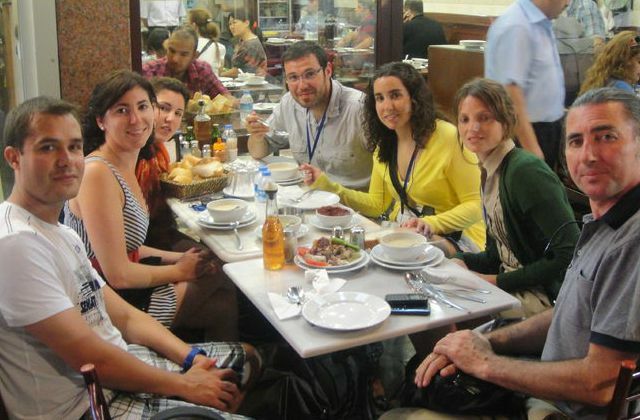 You will hear stories about Turkish cuisine and culture from an expert tour guide. You will be picked up from your hotel to tour city's tea houses, kebab restaurant and drinking place meyhane. Enjoy your dinks from raki (Turkish alcoholic drink) to Turkish coffee.